If variety is, indeed, the spice of life, then my recent accommodations on a road trip through Arizona, Nevada, and California were as “spicy” as an order of jerk-chicken wings and a side of flash-fried shishito peppers (I really did have these tasty appetizers at Bartlett Hall in San Francisco’s Union Square, but that’s another blog!). As I was planning the road trip that would take me to such diverse stops as Las Vegas, Yosemite National Park, San Francisco, Sonoma wine country, and Big Sur, I decided that I didn’t want my overnight stays to be a string of homogeneous chain hotels. Rather, I wanted the places to reflect their surroundings. The result: An eclectic collection of charming/luxurious/quirky abodes that were all delightful in their own ways. True to form, I thought my first stop in Las Vegas warranted a little luxury. 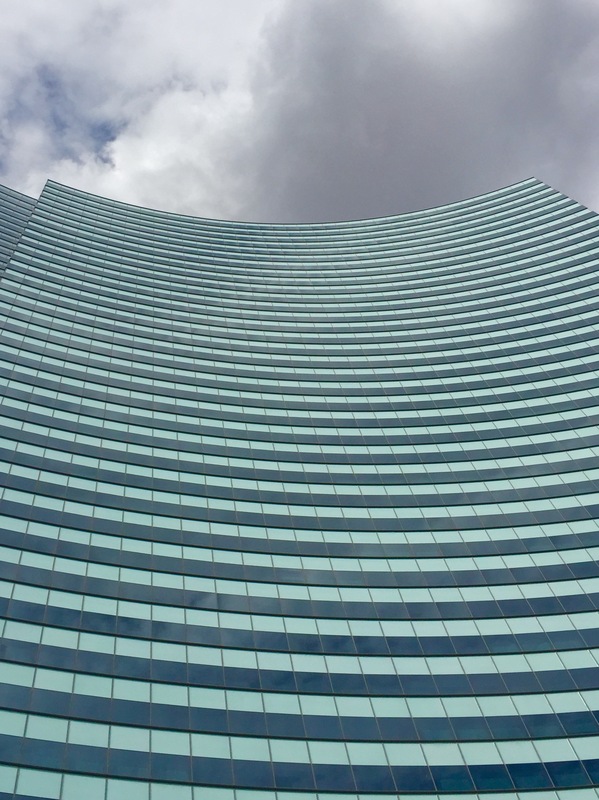 So, as the introduction to my week and a half on the road, I booked the gorgeous Vdara Hotel and Spa at the Aria, located just off the famed Las Vegas Strip. An all-suite hotel, Vdara has so many beautiful touches. 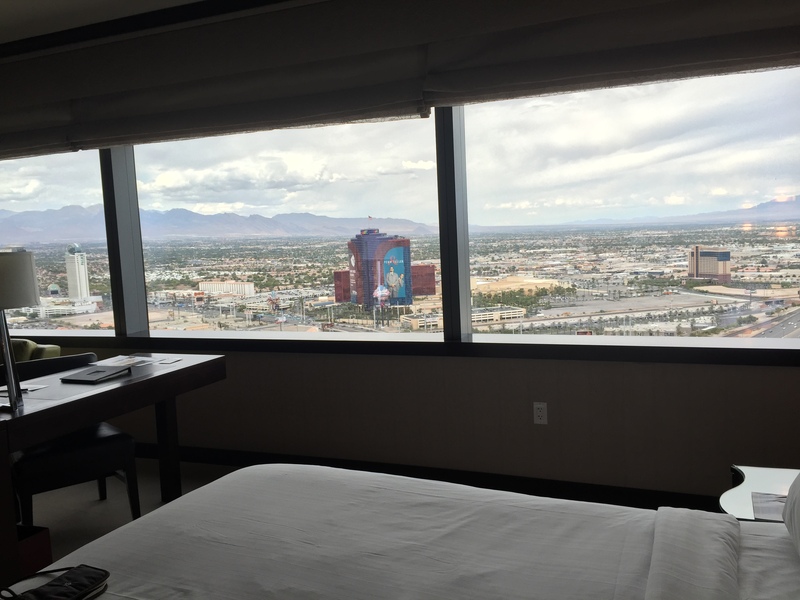 My room was on the 43rd floor of the 57-story hotel, and I was jolted by the panoramic view visible through the side-by-side windows that took up one entire wall of my suite. The Bellagio, Trump International, Rio Hotel – they all appeared to be right outside my window, fronted by the looming mountain range in the distance. 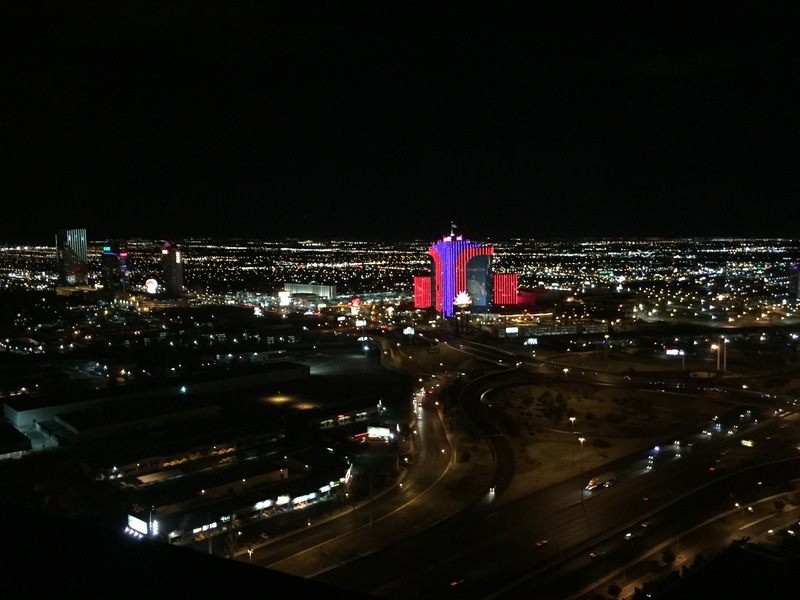 I couldn’t decide which was better – the daytime view of endless desert and mountains, or the night view featuring sparkling hotel casinos all around. 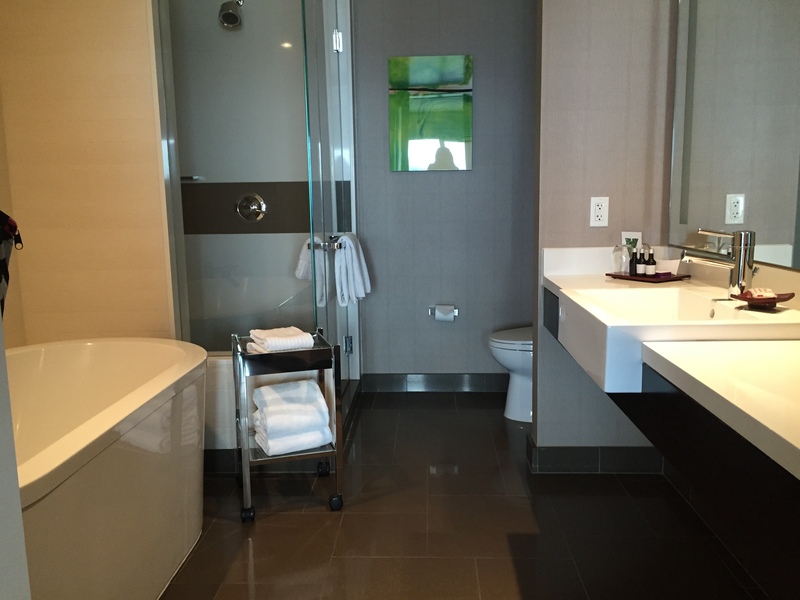 Although my room’s sleek kitchen and bedroom were spectacular, I especially loved the bathroom. The lavish glass shower and really, really deep soaking tub were a welcome feature after my long walk down the Strip. 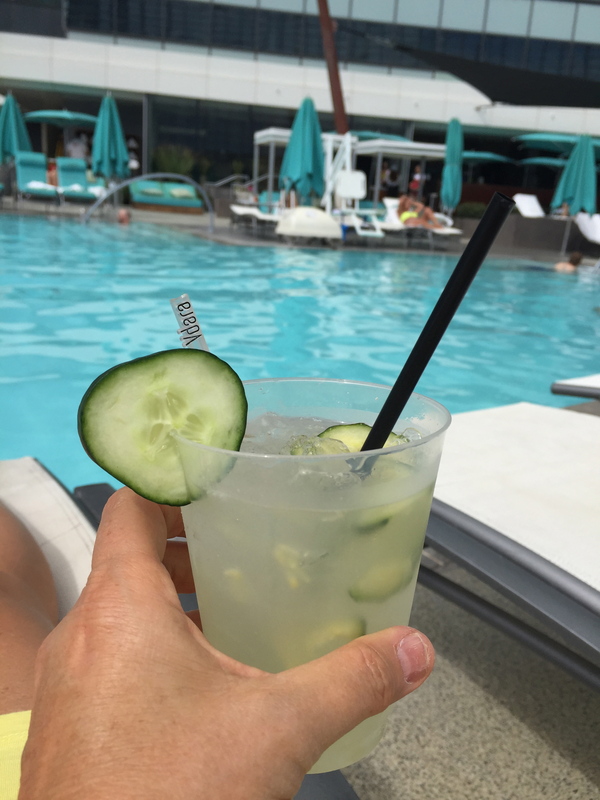 The Vdara pool was also a big plus! My next two nights on the road could hardly have contrasted more sharply. My goal for Yosemite National Park had been to find something rustic, but comfortable. Even though I started looking months in advance, the mid-range cabins appeared to be all booked up by that time, leaving me with a more basic option of a tent cabin. 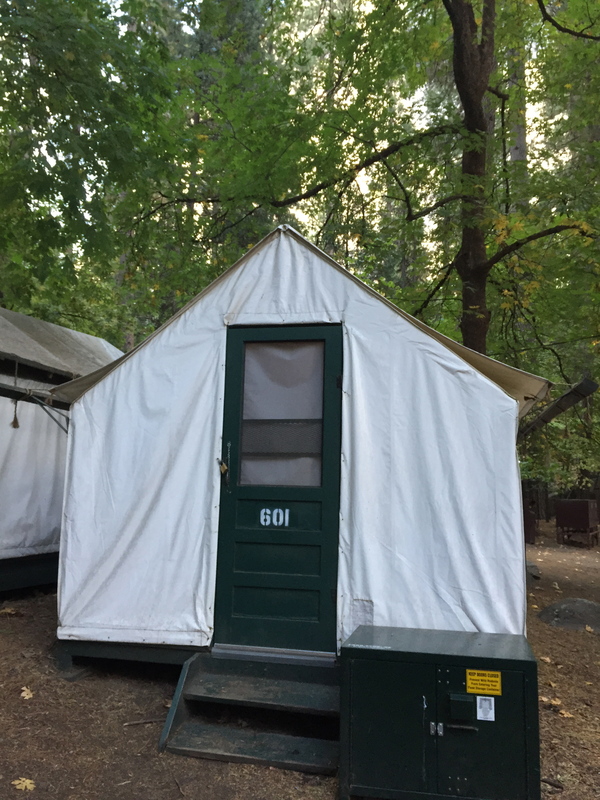 As a solo traveler, I wasn’t sure about the quasi-camping option, but I decided to take the plunge, and booked two nights in the tent cabins at Curry Village. Although I was a little leery about the choice driving in, Curry Village turned out to be charming, and very convenient. The worries driving in probably had more to do with my late arrival than anything else. I hadn’t planned to drive into Yosemite after dark, but the long haul from Vegas, coupled with numerous stops along the way, had made me later than expected. In the dark, it was a little confusing to find Curry Village’s tent cabins, and then to find my number in the rows upon rows of cabins. I ended up taking out my hiking headlamp (glad I brought it! ), and finally located my cabin at the end of a long row, and near the communal bathrooms. Not bad. The bed was simple, but comfortable, and clean linens were set out for my use. And the view the next morning was stunning! 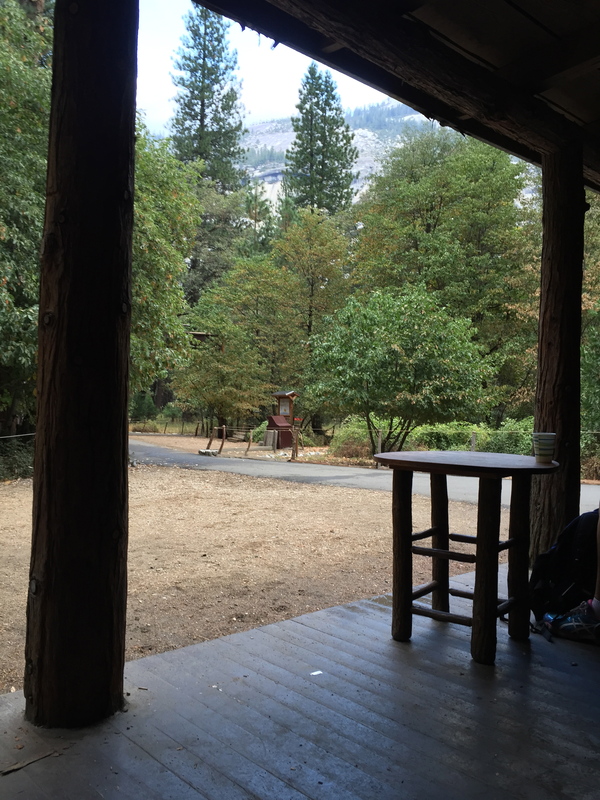 Because the tent cabins were so basic (just one light bulb hanging from the ceiling, and no electrical outlets or Wi-Fi) I ended up spending much of my evening time in Curry Village’s Pavilion – a rustic ranch-style building with a wrap-around wooden deck. It was a very confortable place to relax, especially if you could nab one of the rocking chairs on the deck. The scene was fascinating: Visitors of all ages from locales around the world, all chatting in various languages about the gorgeous sights they had seen that day. I had a number of interesting conversations, including one with two young men from London who were on a California road trip of their own, taking in wine country, Yosemite, and the Pacific Coast. Over glasses of wine they had brought from Sonoma, we talked about the differences between our two countries. It was their view that Americans were more open to chatting with strangers. On that warm evening on the deck in Yosemite, it just seemed the most natural thing to do. 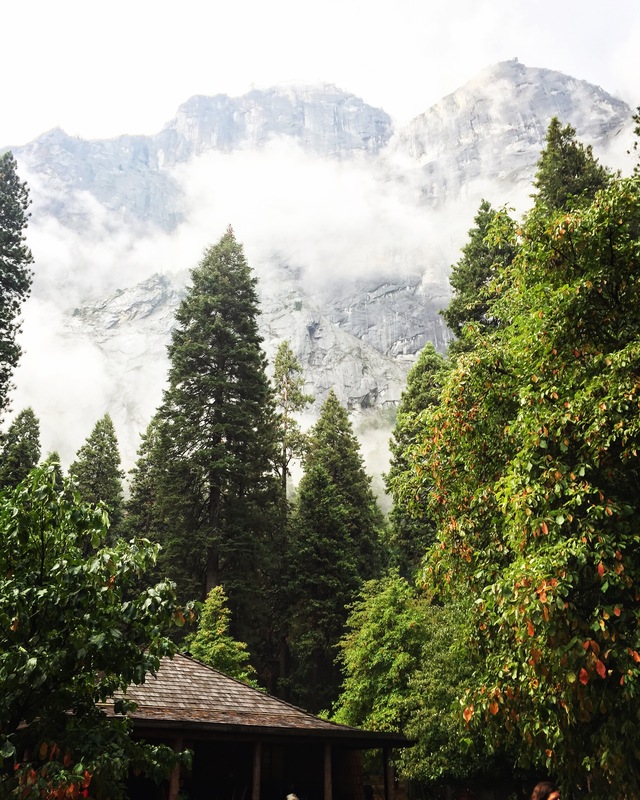 One of the major advantages of Curry Village is its location, in the heart of Yosemite Village. I was able to catch a shuttle bus right at the entrance, giving me access to all of the area sightseeing and hiking spots. And the bus drivers seemed especially friendly and knowledgeable, offering tips about the various hikes and photo opportunities. The on-site pizza place, grocery store, and gift shop added to the convenience. I didn’t have to drive my car again until I was departing from Yosemite for my next stop. 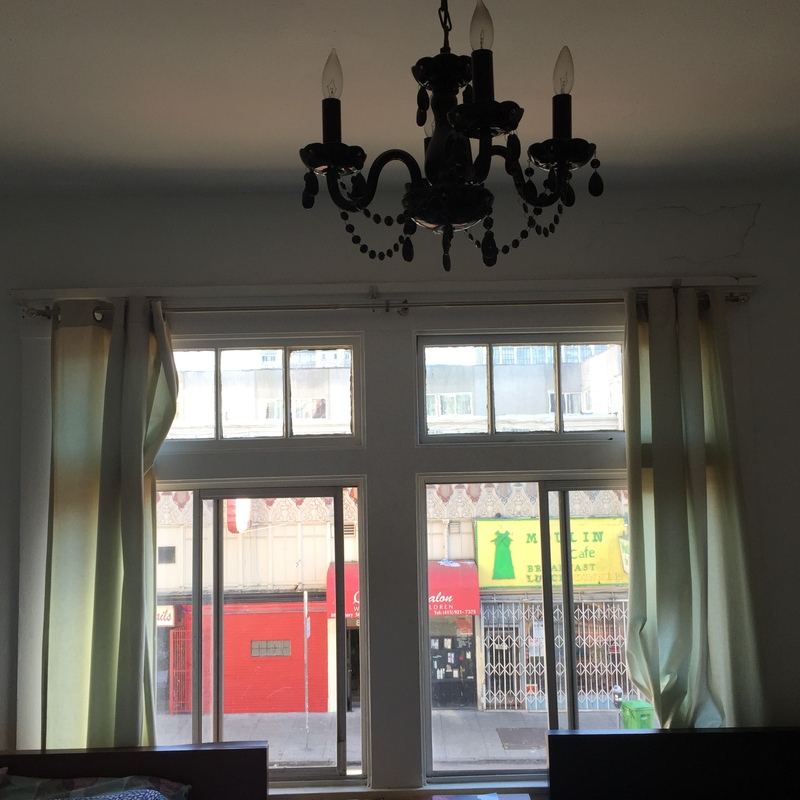 After Yosemite, I was off to San Francisco, where my son and his fiancée and I had booked an airbnb apartment in the heart of the city – the Tenderloin, to be exact. I must say the slightly run-down area did not make the best first impression. 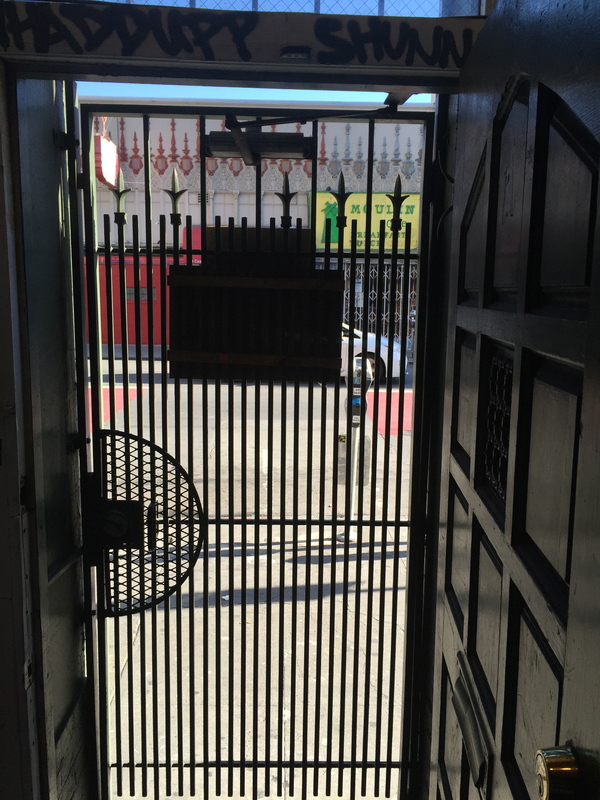 A metal gate guarded the street-level entry, and the staircase walls leading to the apartment were covered in graffiti. A closer look was reassuring, however. The graffiti was obviously an atmospheric touch to complement the downstairs art gallery, and the upstairs apartment turned out to be a funky mix of paint-splotched wood floors, displays of interesting artwork, and cool, retro furnishings. A rooftop deck with views of nearby city buildings, and glass skylights looking into the gallery below offered the final touch to a really unique experience. 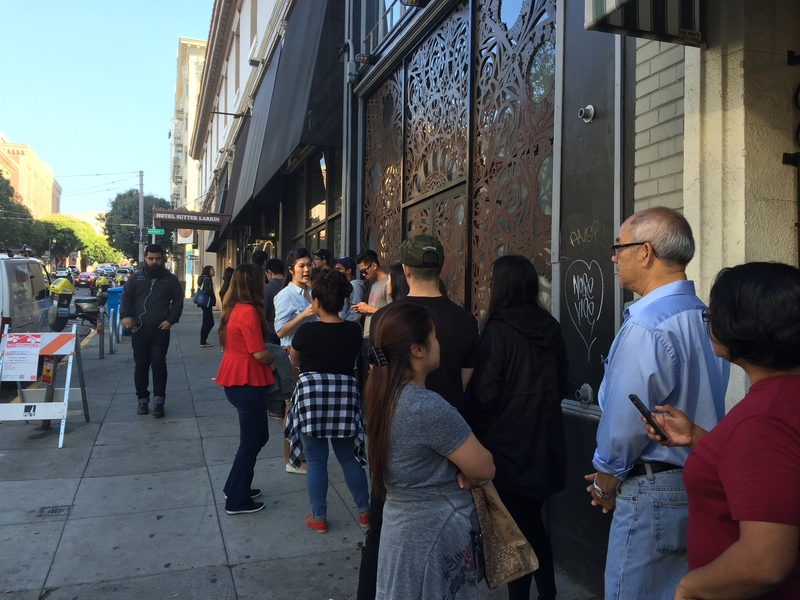 Even though the Geary Street location was a little noisy at night, it didn’t bother me. I slept well that night, overlooking the Moulin Café, the Q Beauty Salon, and the A La Turca Turkish restaurant. A major bonus of the location: It was just around the corner from the trendy Mr. Holmes Bakehouse, a hugely popular SF bakery that specializes in pastry mash-ups, such as sweet “cruffins,” savory tarts, and a “California croissant” featuring a sushi-roll filling of salmon, nori, and a bit of pickled ginger – all delicious. 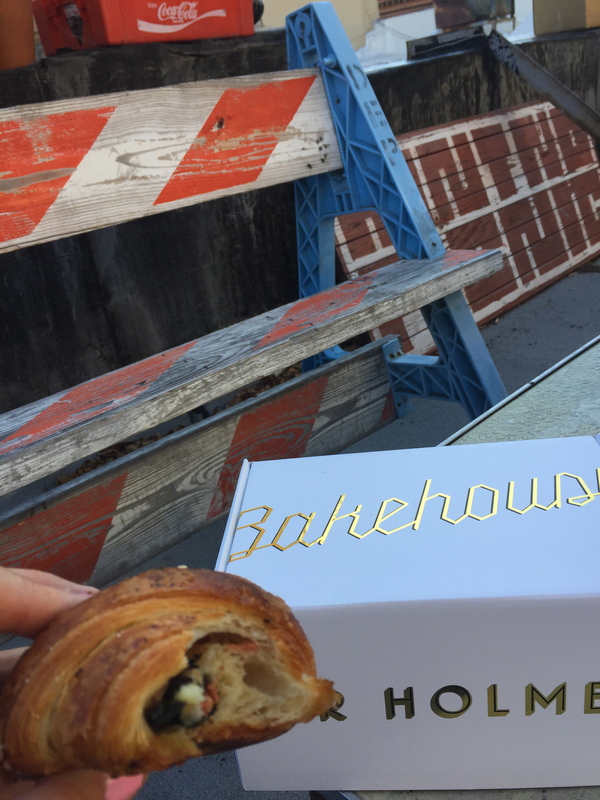 We had to wait in line for a time, but it was worth it to get the unique pastries in the pretty Bakehouse box. Next up was Sonoma, and our cute little Cottages on River Road. The Guerneville cottages were the perfect spot for the headliner of my trip – the wedding of my son and his fiancée. 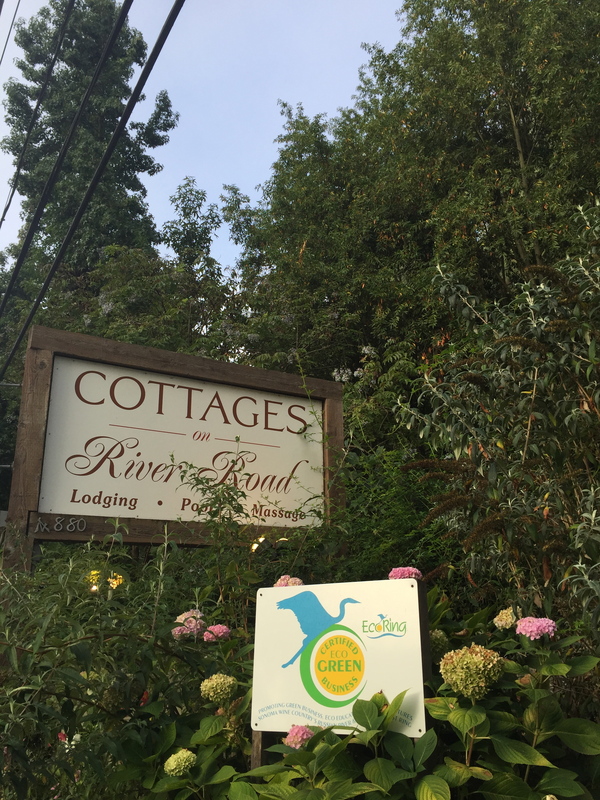 I can’t say enough about the enchanting cottages located right along the main road into Guerneville. They had every modern convenience, but managed to retain a quaint charm as well. Our unit had a small deck in front, which looked out over the lush little courtyard, complete with a fire ring and swimming pool. To be honest, I was so occupied with the wedding taking place just across the street that I didn’t have time to fully appreciate all of the amenities of the cottages. Suffice it to say they left me with a stellar impression – everything from the refreshing honeydew-melon water that was available in the lobby at check-in, to the plush queen bed in my room. That brings me to the last leg of my trip and our stay at the deluxe Fairmont on San Francisco’s Nob Hill. 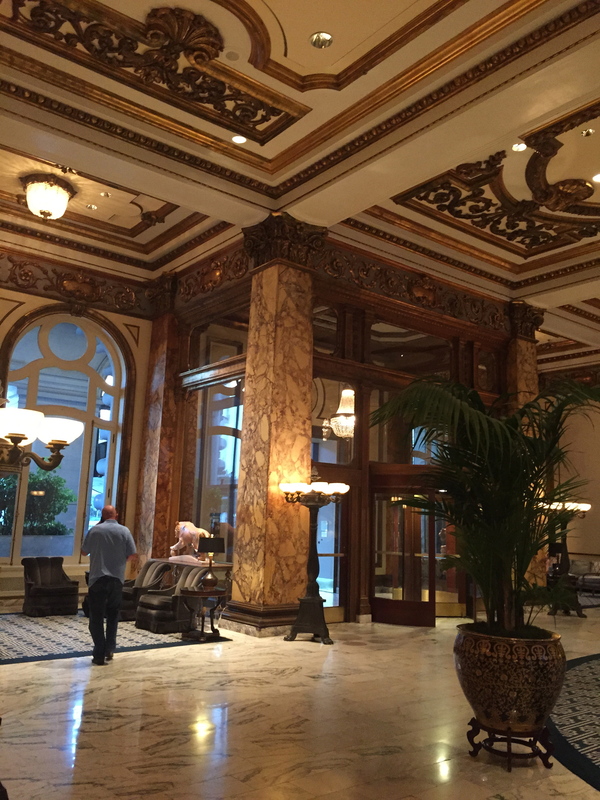 I’ve stayed in a number of hotels in San Francisco, but for a beautiful setting, opulent décor, and outstanding service, I don’t think the Fairmont can be beat. 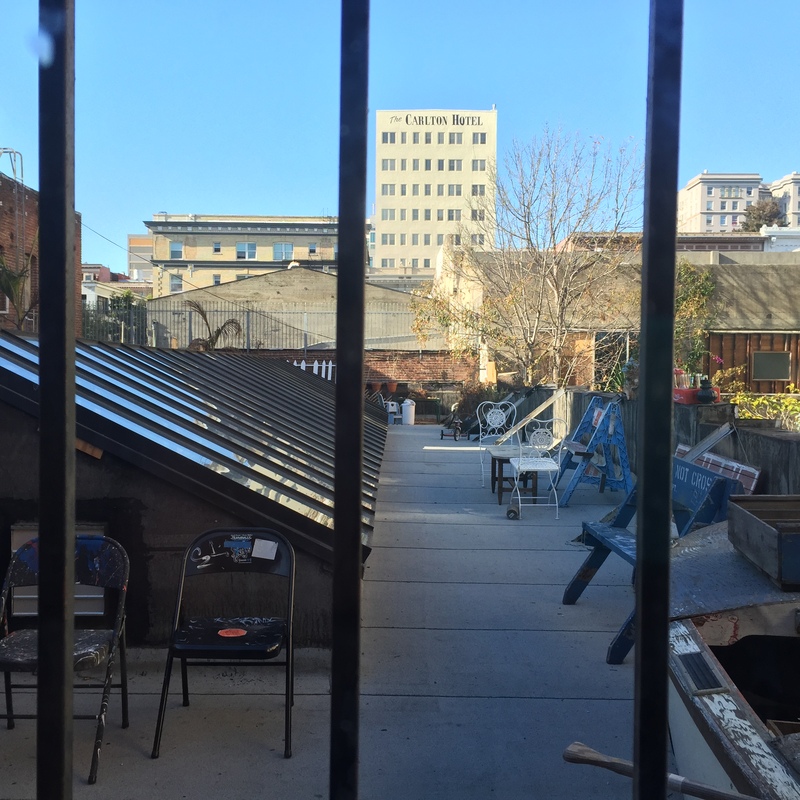 And like the other accommodations on my trip, it sums up the locale – that mix of old San Francisco with the thriving modern city. 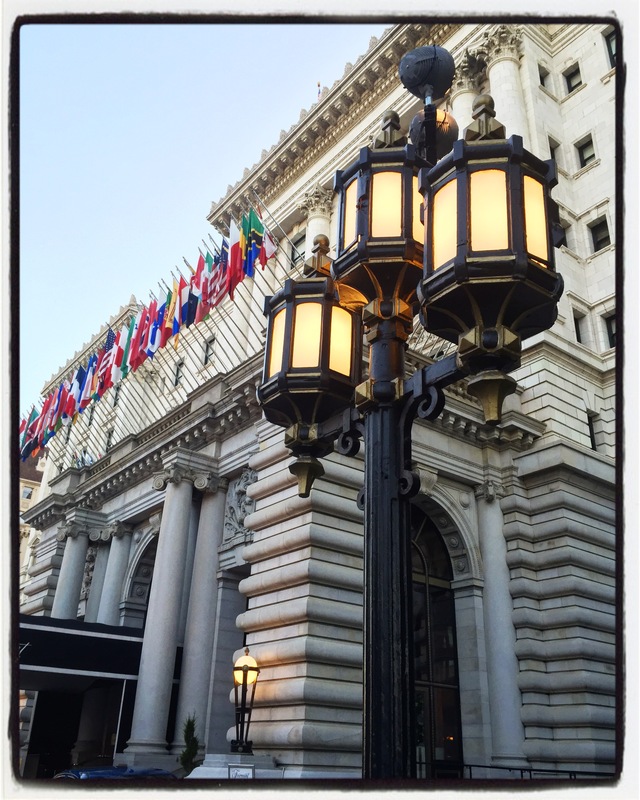 There are many things I love about the San Francisco Fairmont, but I think one of its main attractions is its location, which fronts Chinatown and Little Italy on one side, and Union Square on another. Granted, it IS a steep hike to get back to the hotel from either destination, but the Fairmont also has the advantage of being right on the route of San Francisco’s historic streetcars. 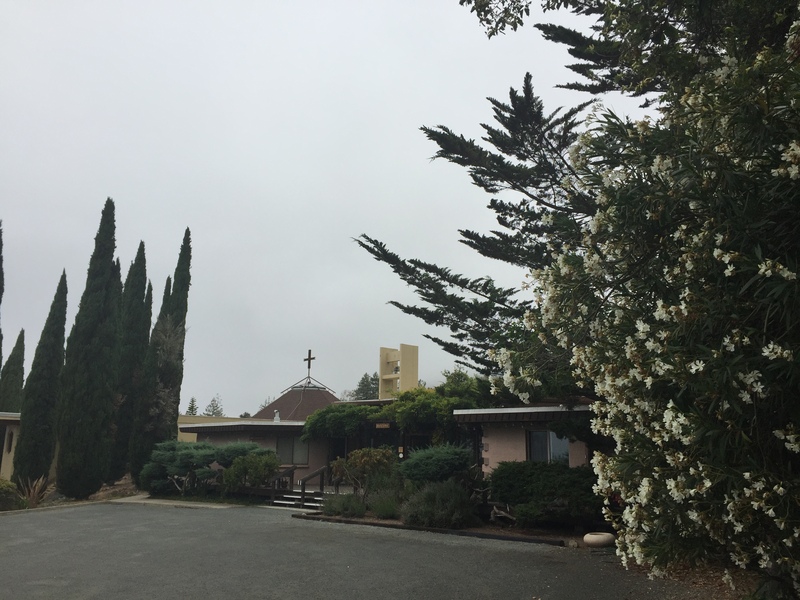 Add to all of these varied accommodations my final night’s stay at a monastery in Big Sur (more on that in a future blog), and my trip’s stays could hardly have been more diverse. Each stop had its pluses and minuses (mostly pluses), and they all made for a truly unique road trip through some of the most beautiful scenery in the West.